Dave is responsible for adding, upgrading and repairing systems. Without Dave, things will quickly go downhill in your data center. A drive has failed in a RAID5 set. You need to replace the failed drive and rebuild the RAID. Oops! Pulled the wrong drive. The RAID set has gone from degraded to dead. Time for a recovery operation! There is a short circuit in power distrubution unit in the server rack. Now you have 36 systems down! Dave moves the wrong network cable in the wiring closet. 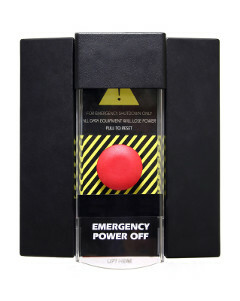 Don’t even think about what happens if Dave slips and bumps the Big Red Button! Slip a laptop or other small computer into the wiring closet and have it snoop the internal network for data. Connect internal networks directly to the Internet. Basically, Dave is a proxy for all of the physical threats to system integrity that can occur in the data center.